Villa in Sardinia (Capitana), in the south west coast. The villa has 3 bedrooms, one double, one twin and one double with ensuite bathroom. It has bright kitchen and very spacious living room with terraces surrounding the house. It has 3 bathrooms, one in the bedroom. 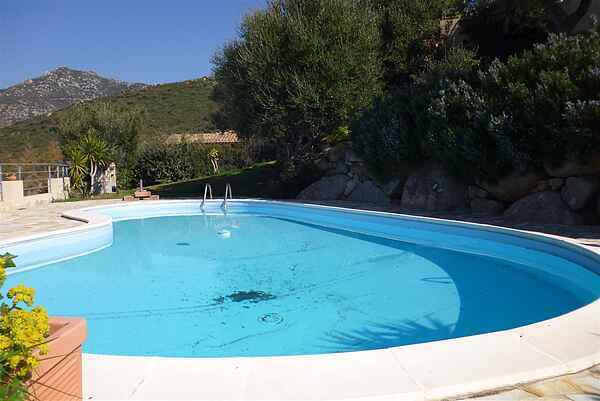 The exterior of the villa is well maintained and it has a private pool with garden and barbecue. The villa enjoys exceptional views being located on a hill. Each room has a window overlooking the garden, with partial sea view and pool access.